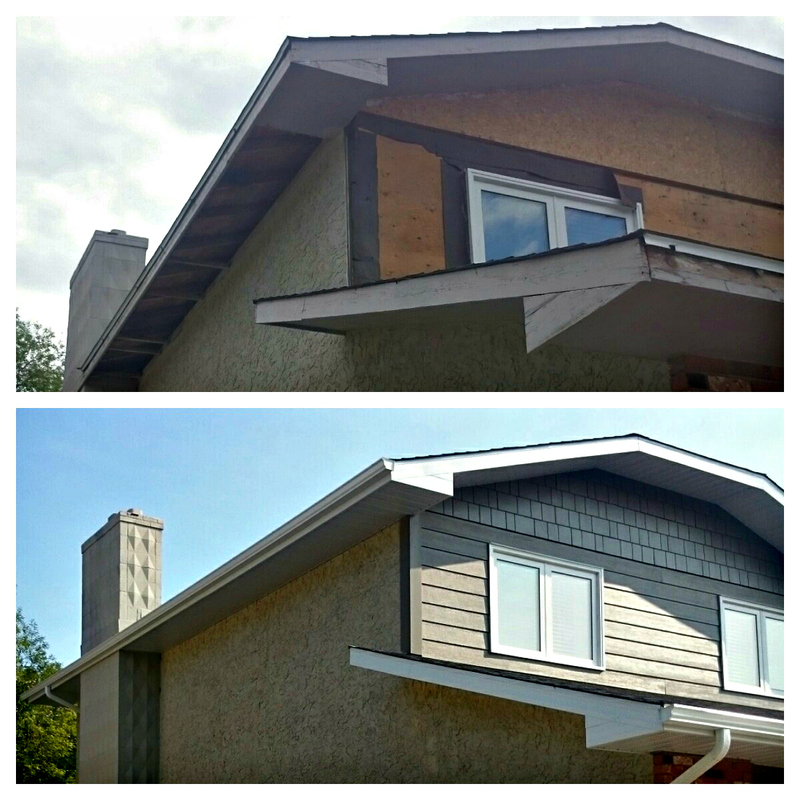 Exterior Finishers Direct supplies and installs aluminum soffit and fascia for residential renovations and new construction. Soffit and Fascia provides both functionality and aesthetics to the home and is crucial in any roofing system. It is basically the "skin" that covers up the overhanging eaves and gables. 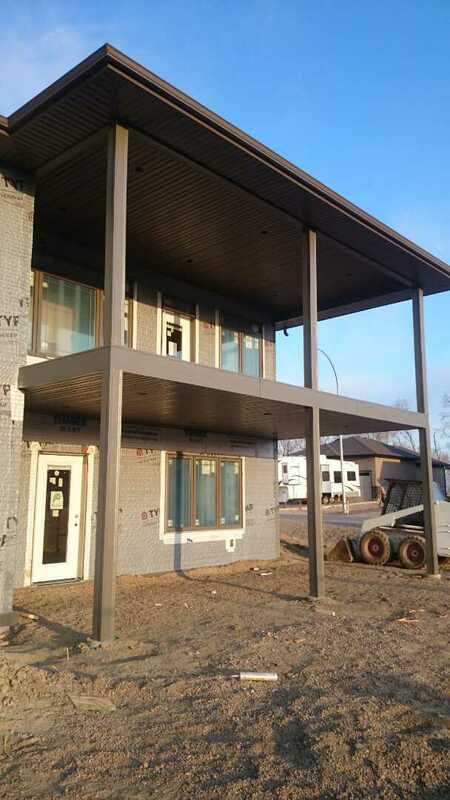 Without soffit and fascia, the rafter beams would be completely exposed to the weather. If the rafter beams are left exposed in any area, there is likely to be rotting and mold buildup. This can be very costly to repair and can even be unhealthy. Vented soffits allow the home to breathe, providing regular air flow to the attic. By maintaining proper air flow, condensation is kept at a minimum, reducing ice buildup along the eaves in the winter and keeping things dry the rest of the year. Fascia is the horizontal board that runs along the lower edge of the roof. It is fixed directly to the roof trusses and caps the end of the rafters. The fascia board also holds the rain gutters. 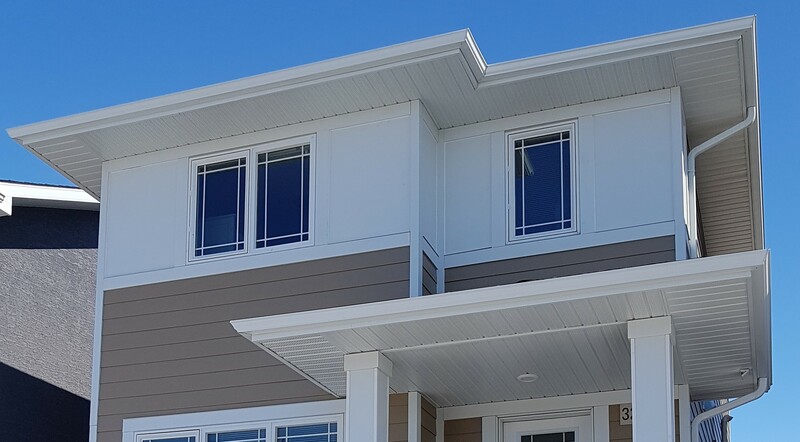 Aluminum fascia protects the underlying wood fascia boards and forms a transition from the roof to the soffit in a visually pleasing way. The most common material used is pre-painted aluminum and comes in a variety of colours to choose from.